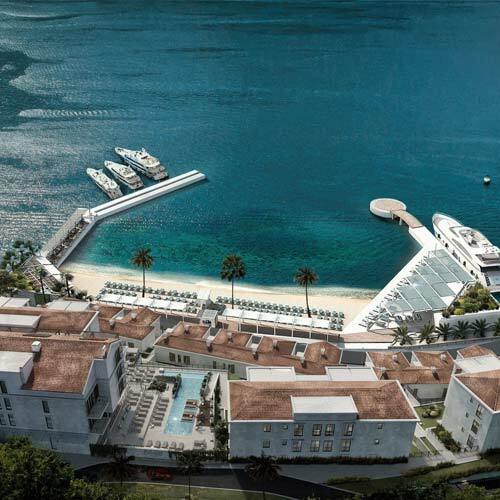 Karisma Hotels & Resorts, an award-winning luxury hotel collection which owns and manages properties in Latin America, the Caribbean and Europe is set open a new, five star location in Montenegro. 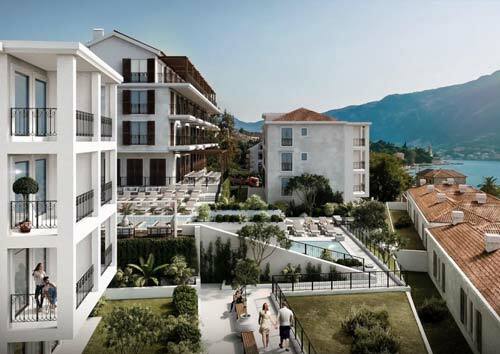 The Allure Palazzi Kotor Bay Hotel will open in June 2018. 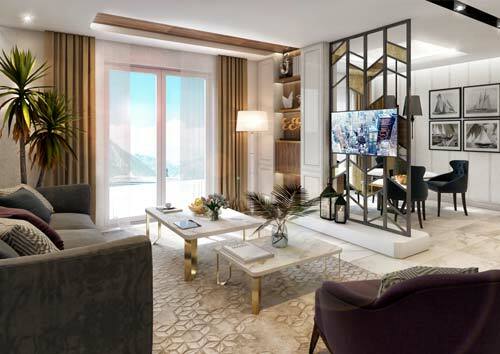 Built from the ground up in Montenegro’s idyllic Dobrota, the exclusive five-star beachfront property seamlessly blends stunning architecture and design with its mountainous landscape, offering spellbinding views of Kotor Bay. Sitting on Kotor Bay’s only private beach, the resort features 89 premium guest-rooms, 10 villas with private beachfront access, and three breathtaking penthouse suites, each with a balcony or terrace. Allure Palazzi Kotor Bay’s accommodations encompass sumptuous bedding, divine amenities, and carefully selected colour palettes bringing the sunny atmosphere of Kotor Bay to life. Accommodations at the resort are coupled with a spacious spa, world-class gym, and two heated outdoor pools with alluring backdrops. For the ultimate luxury escape, the property’s 10 expansive Three Bedroom Beachfront Villas are a fusion of Montenegrin culture and Italian sophistication. With soothing stone-clad walls, a French terrace, and unobstructed views of the bay, bell towers of Perast and the Old City walls, the Beachfront Villas aim to create a serene hideaway for guests. With the inclusion of a boat slip for access to Kotor Bay’s private marina, the villas can spaciously accommodate up to six adults and three children with a king size bed in every room, and a secluded garden that is perfect for enjoying alfresco dining along with private beach access – an unmatched amenity within the destination. Guests have access to three restaurants with unparalleled gastronomic cuisine with Mediterranean influence, along with a VIP pool cocktail bar, lounge bar, beach snack bar, and sweet corner at the beach promenade. In addition to its gourmet cuisine, ideal locale, and highly personalized service, Allure Palazzi Kotor Bay offers an array of activities and entertainment including yoga, beach cabanas and bottle service at the beach lounge, indulgent spa treatments, and access to Kotor Bay’s chic marina for yacht and sailing aficionados alike. Additionally, with only a 15-minute walk to the famous Kotor Old Town, guests can explore historic Roman and Gothic buildings, local shops, and spectacular bay views. The hotel is only seven miles from the Tivat Airport.